It’s been a fantastic week for Plan Bee to get out there and meet and greet customers and to also just get talking to people who are interested in bees and our work, at two recent events; the Country Living Fair which took place at Glasgow’s SECC from last Thursday the 20th November to Sunday the 23rd and this week’s appearance at London’s Borough Market. The people at Country Living really know how to transform the cavern like hall of the SECC into a warm and inviting Christmas space that was very tastefully done and featured a great range and quality of producers. 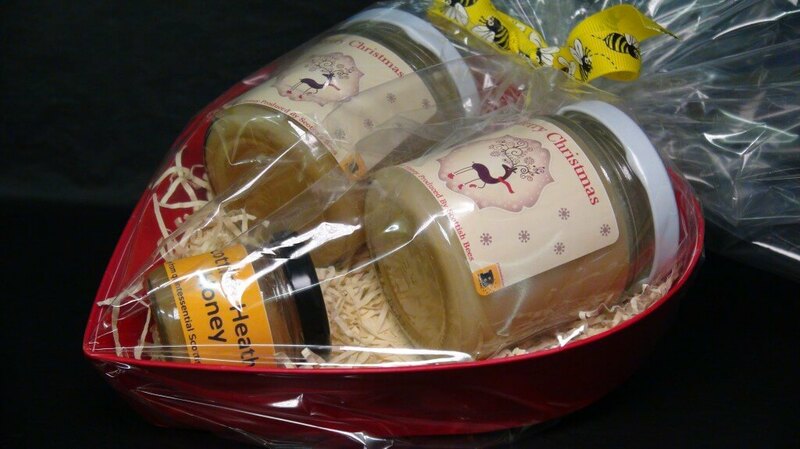 We had many customers who tried the samples of our Scottish honey on oatcakes or our Heather Honey and Cranachan fudges and bought some for themselves and as a present for someone else. We lit our natural beeswax candles as well, burning slowly and cleanly to fill the stall with their warm, sweet scent. What was interesting, was that many people told us they had previously bought our natural Scottish Blossom Honey earlier in the year as a natural cure for hay-fever and they felt that their symptoms had been alleviated over the summer – ingesting local blossom honey helps against the effects of local pollen. This week we packed up the tour bus for an ‘away game’ at the renowned and historic, Borough Market in London, playing for the Pride of Food & Drink Scotland alongside a number of other excellent Scottish producers, all thanks to the kind people at SRUC. Our distinctive Plan Bee kilts were donned by Steven, who set up shop there from Thursday, and met and talked with market goers about the work that we do and offered samples of our natural honeys and fudge. We also hand-packed and presented these into a number of different gift boxes and hampers as a cracking Christmas gift for friends and family members. 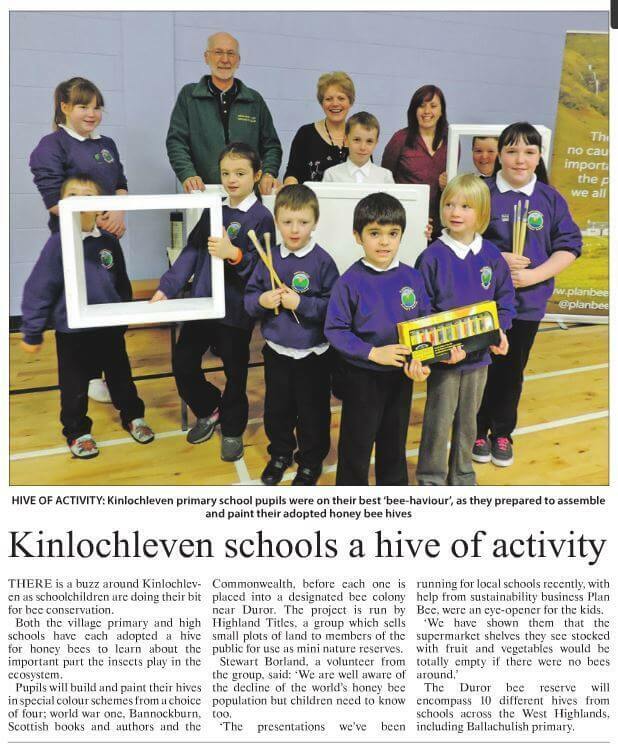 We previously told you about our partnership with land management and conservation company – Highland Titles, when we published this article back in August. They have a unique approach to land and nature conservation in the Scottish Highlands by offering areas of land to members of the public who are passionate about preserving the beautiful scenery and biodiversity of the Scottish highlands and becoming a lord, laird or a lady while doing so. The painted hives could be there on the same spot for decades, allowing these children to return to them over the years and possibly bringing their own children to see them and to learn like they did – true sustainability and involvement with the land and these amazing creatures. 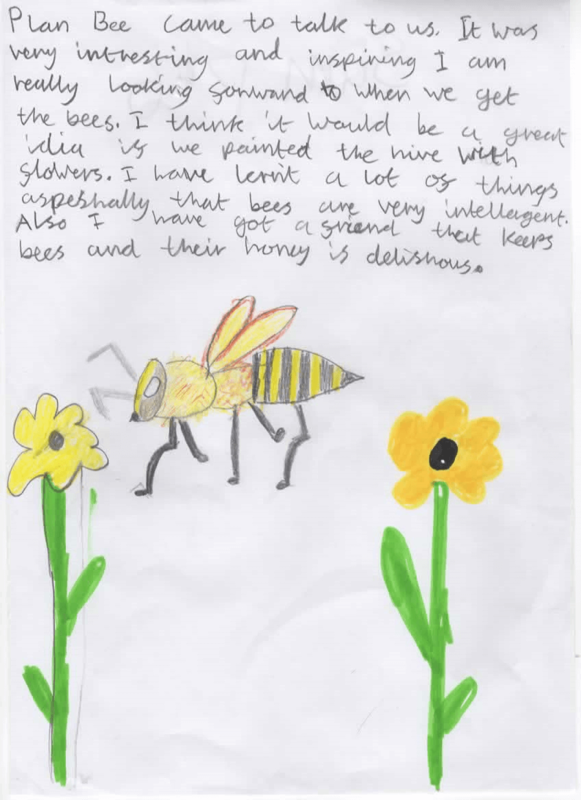 Children from Ballachulish Primary School also sent us their lovely drawings and letters of thanks after Plan Bee visited there to tell children about the importance of honey bees to our food and their critical role in the eco-system.